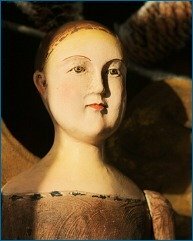 What are the top Boston things to do when you have just one day? Not an easy question to answer, since Boston has just about everything you'd ever want to do or see while enjoying New England vacations. Want to stay in Boston longer than a day? Boston vacation rentals can be option that's less expensive than you might think. With choices including very cool houseboats, apartments in the Back Bay, or a 3 bedroom house near Harvard, Boston vacation rentals offer a multitude of choices that will really enhance your vacation. Browse Beautiful Boston Vacation Rentals Here! 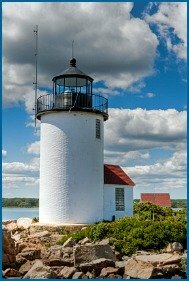 Whether you drive or take the Boston train from Wells Maine or Exeter New Hampshire, it's an easy day trip from southern Maine to New England's capital city. 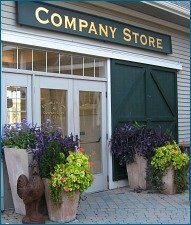 We do it all the time -- it's truly the best of both worlds to live in Maine and have such easy access to the cornucopia that is the city of Boston. Boston tourist attractions include world-class sporting events, spectacular Boston museums, the Boston Aquarium, unbelievable food, the ocean, and the history of New England and the American Revolution -- all rolled up into one cobblestone-paved city that feels more like a town. 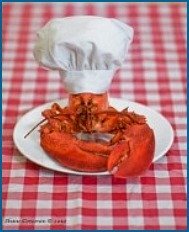 Eat at America's oldest restaurant (my beloved Union Oyster House), see America's oldest lighthouse (Boston Light), tour the world's oldest commissioned naval warship (the USS Constitution) or take in some fine theater or internationally acclaimed musical events (the Boston Pops or the Boston Opera House). Even some fine whale watching, Massachusetts style, is yours for the asking if leviathan-spotting is on your Boston things to do bucket list. Boston Things To Do - Cheaper! Whatever you end up choosing for Boston tourist attractions, do this one thing first: check out the Go Boston Card. This discount card can end up saving you a ton of money as you explore the city. Our family uses these whenever possible, and not just in Boston, either. 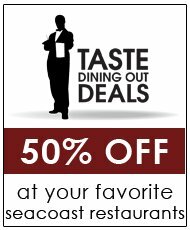 Discounted admission to all sites or customize your card to just the most popular Boston tourist attractions -- Boston Duck Tours, Whale Watches, the Museum of Science and the New England Aquarium. "Ya Gotta Getta Go Cahd!" Generally speaking, you can break up Boston museums into two categories: with kids and without kids. Having a father who was a nuclear physicist guaranteed that many of my childhood hours were at the Boston Museum of Science watching Spooky the Owl, star-gazing in the Hayden Planetarium (recently completely renovated), or finding out how much I weighed on the moon. They didn't have the life-sized T-Rex skeleton when I was a kid, but your kids will get to gaze in wonder at that bad boy! And while I'm not sure whether an aquarium is a museum or a zoo, I AM sure that the Boston Aquarium, which is properly named the New England Aquarium, is a place that both children and adults will find endlessly fascinating. After spending time at the Boston Aquarium, there's an IMAX theater next door or you could embark on one of the nearby Boston Harbor Cruises (more on those below). If I were short on time, yet had a long list of Boston things to do, for the arts I'd pick the Gardner museum. Because besides housing world-class masterpieces, the interior of the museum itself is a work of art...this museum is distinctly Boston -- you won't see another like it, and you'll never forget it. 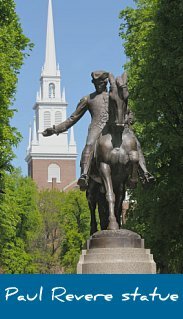 The Boston Freedom Trail is perhaps the most famous of the Boston tours, and one well worth taking because it covers just about everything you'd want to experience of New England colonial history. Packing a total of 16 of Boston's most historic sites into just 2.5 miles, this walking tour takes you on a journey of the American Revolution. 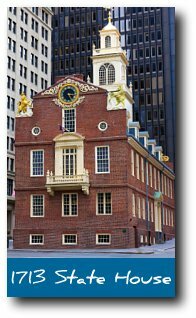 You'll stand at the site of the Boston Massacre, walk on Boston Common, visit the Old South Meeting House where the Boston Tea Party was planned, tour Paul Revere's home, and much more. Self-guided or with costumed guides. Boston Duck Tours offer a much different way to see Boston than using your own two feet! Boston Duck Tours "whisk" you around Boston, taking in the most famous sights in Beantown, in a WWII amphibious vehicle. Why amphibious? Because at the end, your tour drives straight into the Charles river for a view of the Boston skyline from the water! The Mecca of Boston tours for a nation that spans the globe - Red Sox Nation - baseball nirvana is a tour of Fenway Park, home of the Boston Red Sox. Built in 1912, Fenway Park is truly our national Field of Dreams. For the person with even a smidgen of interest in sport, this isn't just another one of many Boston things to do, this is the Boston MUST DO! Fenway Park Tours provide a 50 minute historic walking tour of the ballpark, guided by an official Fenway Park Tour Guide. If one of you loves baseball and the other doesn't, you can accommodate everyone by doing the Fenway Park Tour and the Boston Opera House tour. It's only fair. I never fail to marvel at the Boston Opera House. It's grandeur and opulence are stunning, and it is the only surviving work in Boston by distinguished American theater architect, Thomas Lamb. The Boston Opera House guided tour encompasses historical and architectural highlights of the building, including the grand lobby areas, majestic auditorium and backstage space (when possible). 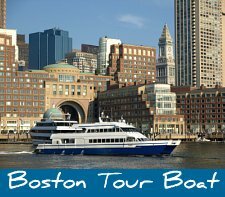 Boston Harbor Cruises are Boston tours on water, of course, but what a variety! You can choose whale watching, Massachusetts history on the USS Constitution cruise, view the Charles river locks and Boston Inner Harbor, enjoy a Boston lighthouse tour, or zoom across the sea on the Codzilla Thrill Boat! Oh, Fanueil Hall Boston. The place no one knows how to pronounce! FAN-u-ill Hall or FAN-ill Hall, either one will do. I'm a FAN-u-ill person, myself. Proclaimed the "Cradle of Liberty" in 1742 because of the subversive things going on in it at the time of colonial America, the Hall has been the heart of Boston for a long, long time. The Marketplace that has grown up around Fanueil Hall is chock full of shops, restaurants, and fine street entertainment. But Fanueil Hall Boston does have a bit more to offer than a chance for teenagers to practice flirting -- it is bordered by Boston's waterfront, the North End, Government Center and Haymarket, and is part of the Freedom Trail. 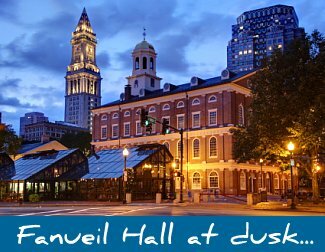 A five minute walk from Fanueil Hall Boston will find you at the New England Aquarium, The Boston Children's Museum, The Old State House, or Paul Revere's House. Other nearby Boston tourist attractions are The New State House, The Museum of Fine Arts Boston, Boston Public Garden, Old North Church, The USS Constitution, and Fenway Park. So there you have it, friends. Some of the best Boston things to do on a day trip to the city I love most. I've lived in cities across the globe, but being born right across the river from Boston in Cambridge Massachusetts, this is the city of my childhood and my youth. My own roots and America's roots are forever all tangled up together in Boston's past -- go get tangled up there, too! Like Us On Facebook -- News, Tips & More!